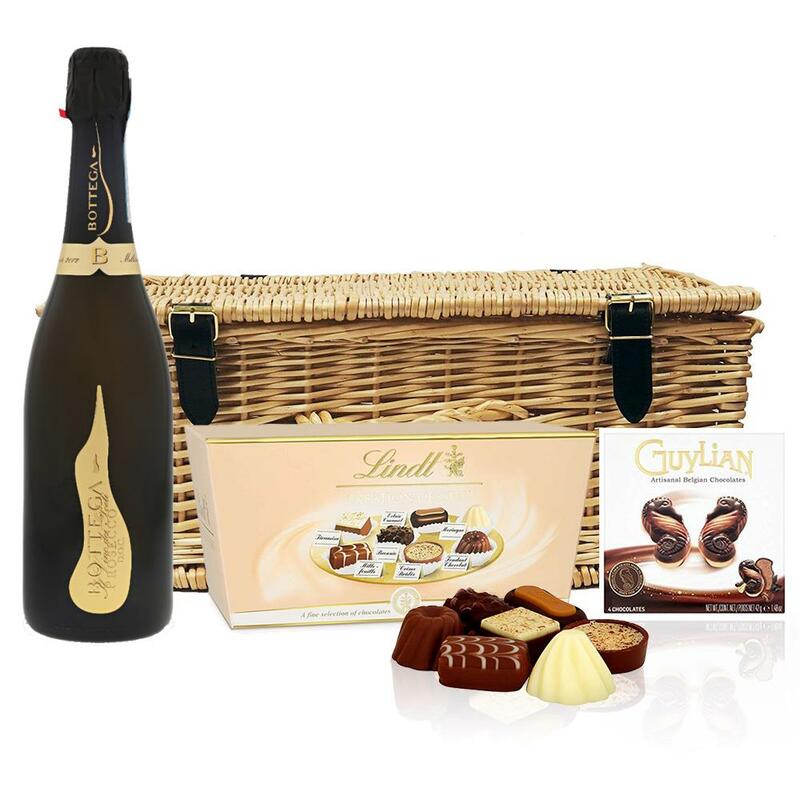 A delightful gift of Bottega Vino dei Poeti Prosecco along with a Guylian Artisanal Belgian Chocolate Hearts 42g and Belgid'Or Fine Belgin Choclates (175g) all packed in a wicker hamper with leather straps lined with wood wool. All gifts come with a gift card with a message of your choice. Bottega Vino dei Poeti Prosecco DOC Pale straw colour, fine bubbles; fresh & fragrant with delicate apple, pear, citrus and hints of honeysuckle & white fruit on the nose; dry, with barely a hint of sweetness on palate & flavours of green apple and citrus; refreshing finish. This product is hand packed onsite by Bottled and Boxed, and is not affiliated with any other brand. Bottled and Boxed is responsible for this product combination/set.